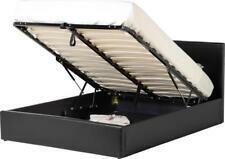 This is a new Carbon Classic Waterbed Heater. It is ready for use - just install as per manufacturers instructions and enjoy using this excellent product. The heater is based on a carbon layer laminated between polyester foils. New condition. The AeroBed patented Whoosh(TM) valve allows super fast deflation in seconds. The AeroBed air coil system ensures a stable even sleeping surface. A button back upholstered double headboard in chocolate brown. In very good used condition. Clean and fresh. From a recent local clearance. CHEAPEST IN THE UK - PRICE CUT UNTIL END OF AUGUST! ALL SIZES AND COLOURS 2FT6",3FT,4FT,4FT6"
Footboard Centre Height H440. Height Below Side Rail H265. Height Of Bed Base H345. Height Below Bed Base H330. We aim to serve you with high quality service and products. Our head office and warehouse is based in Leicestershire. Birbeck Upholstered Headboard by House Additions. The Bonhill headboard features a stylish button back design that will add style to any bedroom setting. Upholstery Material: Fabric (Suede Feel). Super King (6') Size. Height Below Side Rail 285Mm. 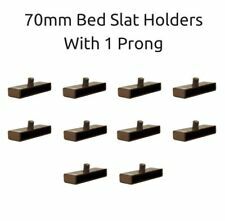 Height Of Bed Base 325Mm. 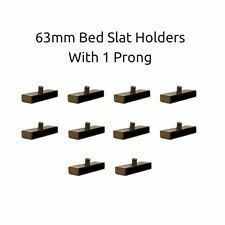 Height Below Bed Base 310Mm. We aim to serve as your with best service. Our office and warehouse is in Leicester. We are always happy to help and sort out any issues you may have. 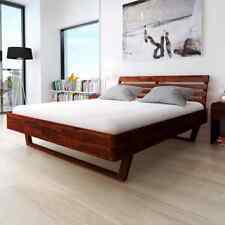 Miami Solid Wooden Bed 4FT6 135cm Double Bedstead. Slat Width - 68. Slat Length - 1218. Slat Thickness - 17. 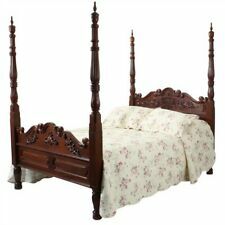 The Birlea antique bed in pine is perfect to transform your bedroom space. Featuring a classic wooden design, and vertical slats on the headboard and the bottom of the bed, it is perfect to get a good nights rest in. Footboard Centre Height H360. Headboard Height H790. Height Below Side Rail H275. Height Of Bed Base H315. Height Below Bed Base H300. We aim to serve you with high quality service and products. Our head office and warehouse is based in Leicestershire. Advanced & Comfortale Design: Elegant wave veins and special inner drawstring construction design will support all parts of your body than other aircolumn structure bed, it's from Etekcity human engineering and can well protect human spine, gives you a high quality sleep. 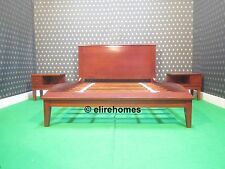 Premium Quality Ottoman Storage Beds Wood Faux Leather Fabric Various Sizes!